You’ve probably heard the tip. If you want to lose weight it’s a good idea to eat slowly. And chew your food at least 15-20 times before swallowing. Doing so allows your brain and body to actually sense that it’s full. Instead of cramming a bunch of food down your throat only to find out 30 mins later that you’re way stuffed. 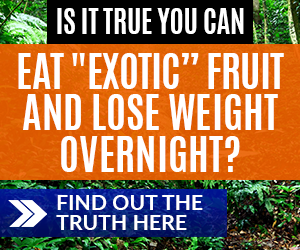 Dou you know which is the best fruit for weight loss? There are days when we feel tired and lazy than try with this great delicious smoothie to recharge the batteries. It is recharge smoothie antioxidant and you will certainly feel better after that one. Blend water with fruit and then add in the celery stalks and blend until smooth. This is a great drink to recharge yourself. It is fine and juicy enough and provides natural sugars from the fruit and also sodium from the celery. Find here a high protein rich smoothie that consists only of protein-rich fruits and greens without the need for a protein powder or anything like that. Note also the calcium and iron content and of course a Vitamin A extra high rich content! Nectarine berry smoothie, this smoothie is rich with iron so we shall be using a lot of iron-rich fruit and berries and also iron-rich greens, especially fresh parsley. With this recipe, you will get about 6.4 milligrams of iron and that is especially important for the women in pregnancy. Orange carrot smoothie recipe. This smoothie is about vitamin A as a nutrient. As you know, carrots are rich in beta-carotene, which your body converts to vitamin A. The oranges and ginger neutralize the flavor of carrot. You can add some greens to this recipe, too, that will provide even more beta-carotene! Great for losing weight! If you wish you can add to all your smoothie some ice to refresh. Banana strawberry smoothie with Flax seeds. It is about Omega 3 essential fatty acids. You will add just one tablespoon of freshly ground flax seed to your smoothie (use a coffee grinder to do this, you can do it in just few seconds max 6 seconds). This will provide you with 173% of daily value of Omega 3’s (that it is only from this one ingredient alone)! Kiwi smoothie with banana and lettuce. Here is a good dose of vitamin C for you. Did you know that oranges are not the only great source of Vitamin C? Strawberries, kiwi and kale are also very rich with Vitamin C and taste great in a smoothie! See bellow recipe for great tasty smoothie recipe, enjoy in it and get a good dose of vitamin C.
epicmedicalweightloss made a real revolution in the industry. Warm lemon water for detox and hydration. If there is one thing that you could do to help your body to eliminate some of toxins, improve your digestion, stimulate your metabolism and boost your energy, would you do it? Sure you would and it takes less than one minute. Immediately upon waking in the morning, squeeze one lemon in 16ounces (half liter) of warm water, water must not be warmer than 45°C or 113°Fahrenheit. You must drink warm lemon water at least 15minutes before you eat or drink anything else. – Helps you lose fat – how? Lemon juice helps to improve your digestive system, helps in removal of toxins and increases your energy levels. All that combines together help you to lose body fat through improving your hormonal balance. Banana kale smoothie with orange, rich with calcium. Lot of people are afraid that they will have a lack of minerals with raw food but see that, this smoothie has much more calcium than cow’s milk. If you use calcium rich fruit and greens you can achieve greater nutrition per Smoothie than with the dairy. And now go on, Blend it! Blueberry grape smoothie recipe. Are you ready to take a delicious step to better health, weight loss, increased energy and mental and emotional clarity? Grab a blender and get ready for the taste sensation of getting your servings of fruit and vegetables every day. See tasty and easy to make recipes. The first one is rich with antioxidants and contents two of the most potent foods that are famous for their cancer protective nutrients. This blueberry grape smoothie has only 425 calories but it is rich with Vitamins A and C and also with Iron, Calcium and proteins.